As the Vienna Tourist Board inaugurates a partnership with Art Basel Miami Beach this week, CEO Norbert Kettner shares his take on the fair and the perhaps unexpected connections between Vienna and Miami. As a Vienna native, Kettner is deeply connected to the creative history of the city, which has been a center of art and literary inspiration for centuries. Visitors to this year’s ABMB have the opportunity to get a taste of the Austrian capital at a Vienna coffeehouse and the Artisanal Grüne Lounge, which takes the form of an immersive green wine bar crafted in the spirit of Hotel Sacher Vienna’s Grüne Bar—both of which are open throughout the week. Be sure to stop by. It may even inspire a trip to the city. Norbert Kettner, CEO of the Vienna Tourist Board. What do you hope to gain from promoting Vienna at Art Basel Miami Beach? We are thrilled to present a selection of Vienna’s finest products and services here at Art Basel in Miami Beach for the first time. We wish to showcase our city to this international audience—as in Vienna we preserve art of the past, showcase art of the future and spur dialogue on value and creativity of expression. 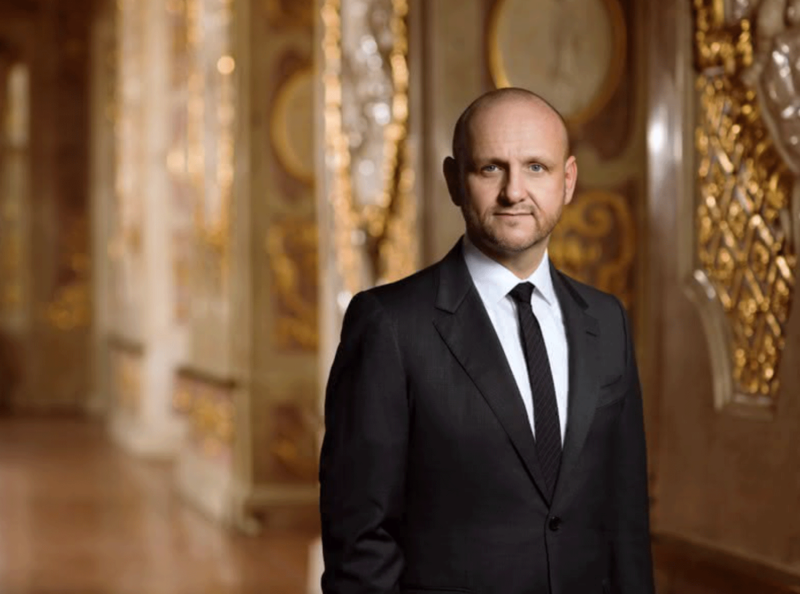 As the director of the Vienna Tourist Board, how has the city’s art drawn in people from all over? I see the appeal stemming from the city’s livability and beauty. We have been voted the most livable city in the world by the Mercer Study for the last nine consecutive years, and by The Economist only this year—as the first European city ever. Access to healthcare, education, affordable and appealing housing and transportation, and environmental sustainability practices which allow for our city to be composed of almost 50% public green space, make it very appealing for visitors and residents—and visitors who become residents—to enjoy and traverse Vienna. We preserve our past—most evident when you walk the city and see the diverse architecture from so many periods, from contemporary architecture such as Zaha Hadid’s imposing library building on the campus of the University of Economics and Business to the Austrian Post Savings Bank by Otto Wagner to the baroque Belvedere Palace [the latter now a museum regularly staging modern art installations like Erwin Wurm’s Fat House alongside the world’s largest collection of Klimt paintings]. It’s this very juxtaposition of imperial and modern, that unfurls into a very respectful yet open society. We welcome artistic expression of all mediums. You feel that, I think, whether you stay a day or a year, in music, in the renowned balls, and the opera, in intimate clubs and private homes, in the showcase of modern art in the increasing number of galleries, in the preservation of imperial art, and in the steady stream of evolving museum shows. What do you look forward to the most come Art Basel season? Tomás Saraceno is a favorite. He just opened a beautiful installation in St. Charles Church in Vienna and I really look forward to seeing the work he did here with Audemars Piguet. Of course, watching out for Austria’s big names such as Franz West or Maria Lassnig is always fun as well. So, largely the art, and not to be trite, but the Miami weather in December is a treat for me. What type of art do you favor? What medium do you look out for the most in both Vienna and Miami? I’m drawn to the Art Deco architecture of Miami. I see delightful parallels with Viennese Art Nouveau, or “Jugendstil,” which we celebrated this year across Vienna through museum and gallery shows across the city. Architecture is a favorite medium of expression to me, as it combines artistic efforts for society and impacts history and style. We enjoy going to substantial lengths in Vienna to preserve architectural gems while creating space for modern, sustainable design. Does attending Art Basel spark a creative force inside you? If so, in what ways has it influenced you? I deeply enjoy seeing the work of artists who are new to me, as I often am propelled by the desire to explore. I enjoy reflecting on the density of artistic input and unwrapping inspiring conversations I’ve had at Art Basel on my journey home. It was important to us, to Vienna, to provide free flowing wine at our “Grüne Lounge” at the fair and coffee at our “Vienna coffeehouse” to stimulate planned and organic conversations, in this vein. Meeting for a coffee or a drink is very much built into the fiber of our culture and an aspect I take great pleasure in exporting and sharing.